WELCOME TO THE LITTLE SHOP WHERE ALL YOUR VINTAGE DREAMS CAN COME TRUE. 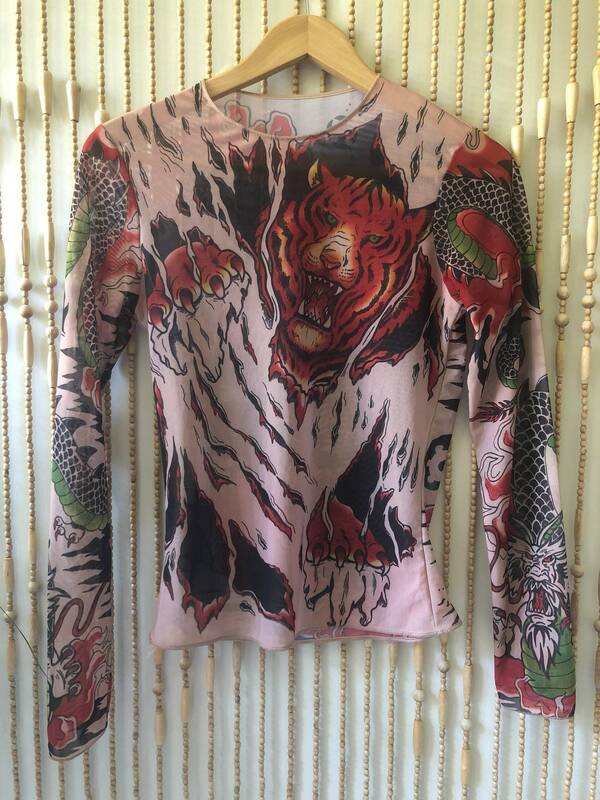 Description: Rave Baby Y2K Tattoo Longsleeve, featuring killer tiger and dragon graphics. Sheer stretch fabric ideal for layering under slip dresses and rocker tees, and delicate camis. Brand: N/A. 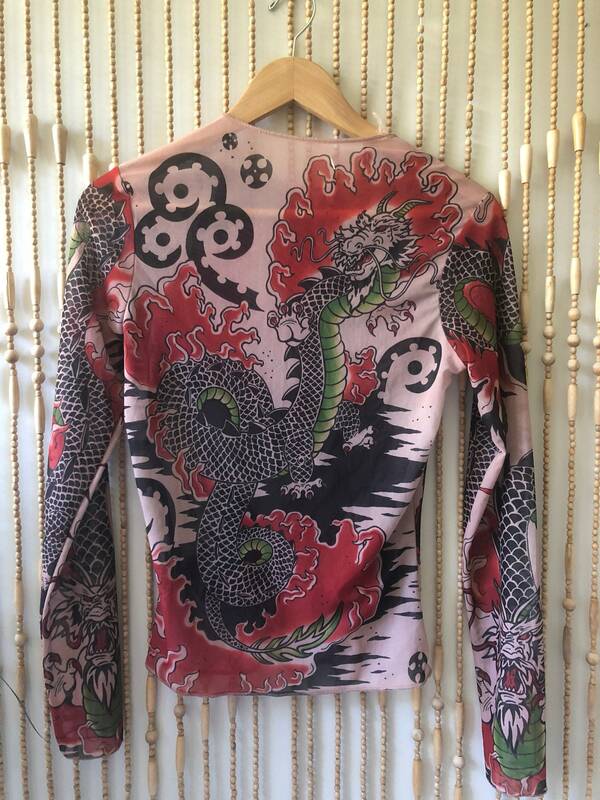 Fabric: N/A - most likely a polyester stretch. Size: N/A- best fits a XS-M. Model wears a size S. Overall Condition: Perfect Vintage Condition - no holes, fading, discolouration or imperfections noted.